"All drawings are not to scale, they are for illustration purposes only." The Pickup will Hard Mount to the Direct Coupling Block & Guitar Body Core. The Direct Coupling Block is a few thousandths smaller than the mating Body Core Cavity. 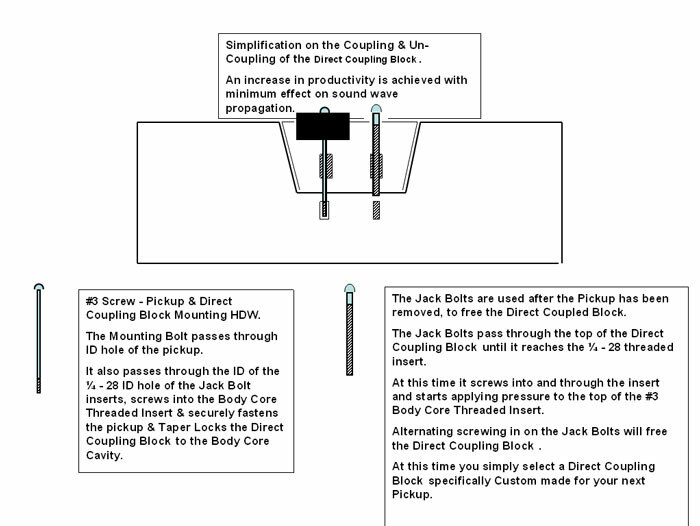 Because of the tight tolerance and the angled ends, the Coupling Block when installed, will be fully seated, wedged, "Direct Coupled" to the Body Core. The "Wedgelock/Taperlock & Jack Screw" is a mechanical fastening method where very tight tolerances are used. The Parts can be taken apart and reassembled with confidence. 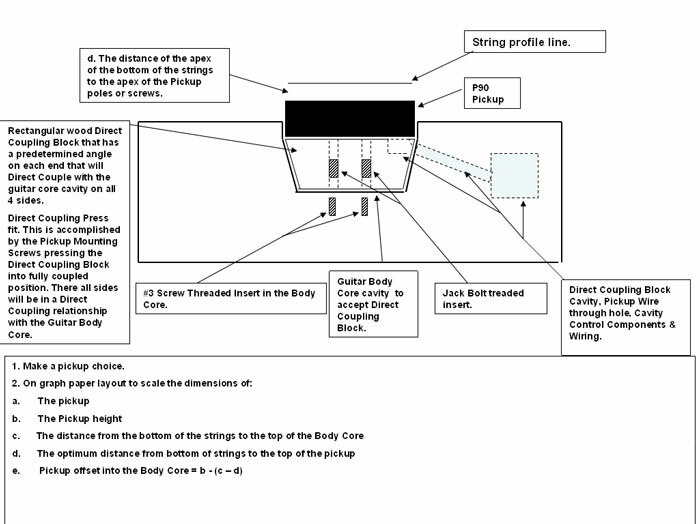 Tap the Direct Coupling Block in Place and screw the Pickup and Direct Coupling Block to Guitar Body Core. is just one of the reasons that being in this business has been so exciting & rewarding for me. Special thanks to Finom1 for contributions to the article.